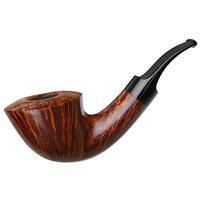 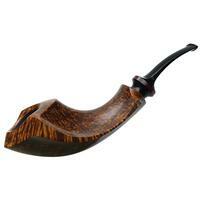 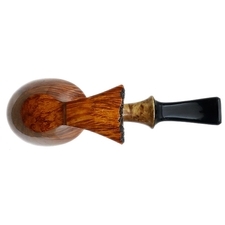 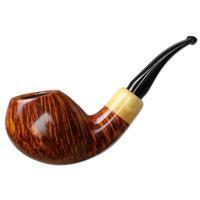 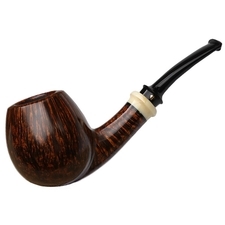 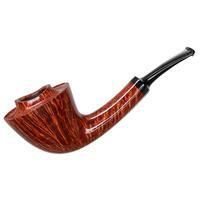 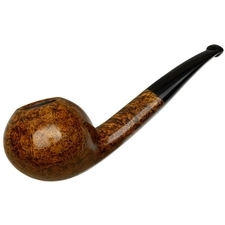 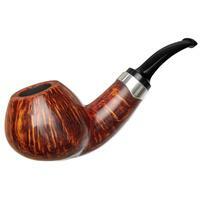 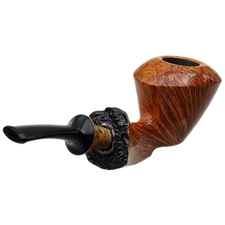 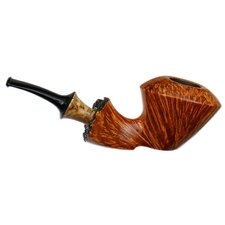 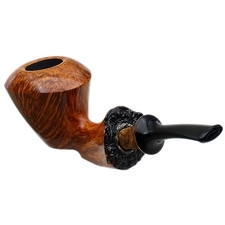 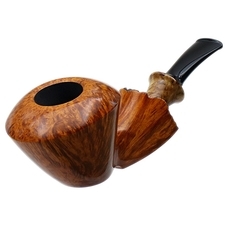 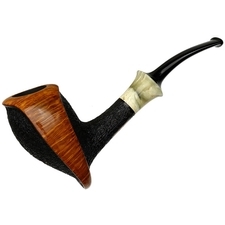 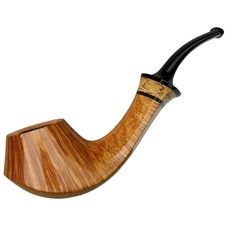 One of the more overtly organic pieces I've seen from Kent Rasmussen, this bent Dublin boasts a strong, domed-rimmed bowl up front, and the sort that sports a sense of playfully architectural taper down to the base. 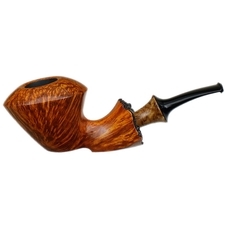 From here, the carver opted for a bit of natural shaping, as the shank terminates in a face of craggy, dark-stained plateau. 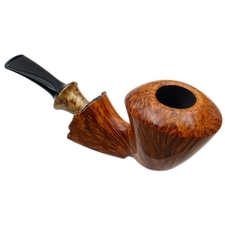 It's finished in a fetching, warm contrast finish, accentuating a splendid display of windswept flame, and a rim thoroughly packed with birdseye. 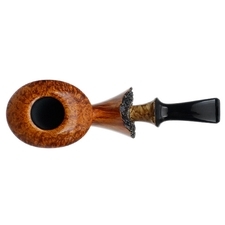 The tapered, push-style stem base is accented with a bit of masur birch as well, offering a pleasant complement to the warm, naturalesque composition.